Earth Day is this Friday, April 22. Celebrate what the planet gives us by eating local food this weekend in Bucks County. Check out local produce available from local farms, support local community restoration groups with a tasting dinner, learn how to make mead and food the way the people did in the 17th Century, and more local foodie events from Friday through Sunday. The Raven is having a special Earth Day dinner to benefit the re-watering and improvement efforts of New Hope, which will benefit The New Hope Towpath and Canal Restoration. It’s a four-course tasting menu with wine pairing. Dine by candlelight and enjoy the locally sourced menu with biodynamic and organic wines selected in-house by sommelier Mike Scibilia. Seatings are at 7:30 and 9:30 pm. For reservations call 215.862.2081. The dinner is $100 per person. View the menu on The Raven’s Facebook page here. Delaware Valley University continues its tradition of A-Day (or Activities Day) this weekend. It’s a family friendly event that brings together students, alumni, and the entire community. Choose one of the three days to attend (or all! ), check out vendors, and sample some DelVal food like their “famous” milkshakes (really good). Free to attend, and there is a $10 parking fee in designated areas. See their website for more information on A-Day. The TGIF! Friday Music Series starts up again this Friday, April 22 at the Crossing Vineyards and Winery. Starting at 8 pm, enjoy music from The Eric Mintel Jazz Quartet for just $10 per person. Wine and cheese available for purchase while you jam out. Contact someone from the winery at 215.493.6500 ext. 19 for more information. It’s been a good winter for produce thanks to the Wrightstown Farmers Market, but this Saturday, April 23 is their last market of the “winter” season (regular season begins Saturday, May 7). Head to the market to pick up some fresh produce, meat and cheeses, and other prepared food items. Also in honor of Earth Day, check out their Earth Day table and learn some great Earth-keeping ideas like how to save electricity or how to create a wildlife habitat. For more information, visit the farmers market’s website. 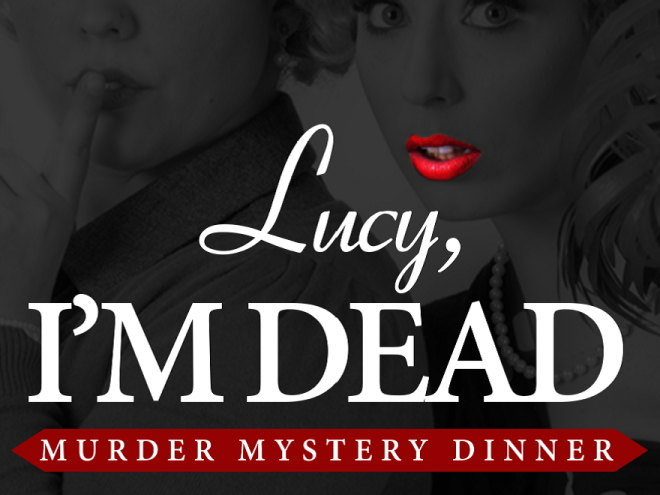 If you like theater and food, then this Murder Mystery Dinner Theater featuring Without A Cue Productions is right up your alley. The dinner and show will be held at Roman Delight in Warminster. There will be a full dinner buffet and cash bar. Basket raffles will occur throughout the night. All proceeds of this event go to support the United Church of Christ Warminster youth ministry and participation in the National Youth Event of the UCC. The show is called “Lucy, I’m Dead” (recommended for children under 13 years old). General admission is $50. More information and how to buy tickets can be found on their website here. Celebrate the last few days of April with a good old all-you-can-eat breakfast buffet at the Haycock Fire Company in Quakertown. The fire company will be serving breakfast from 8 am – 12 pm. Adults are $7, children from ages four to seven are $5, and children three and under eat free. There will be pancakes, french toast, scrambled eggs, ham, sausage links, plain and seasoned potatoes, cream chipped beef, toast, fruit cocktail, and homemade desserts. Spring is all about the bees! You can learn about nature’s pollinators by talking to gardeners and brewers about the importance of bees and their honey in the 17th Century at the Pennsbury Manor in Morrisville, PA. Learn how honey was harvested and visit the brewers who will be making some delicious mead. Cost is $9 for adults, $7 for seniors, $5 for children ages three to 11, at the door. Passover begins at sundown on Friday, April 22. Happy Holiday! Bucks County Taste spent an afternoon with Nina White, baker extraordinaire, baking matzoh in her wood-fired oven a few years ago. Here’s the video. I am baking matzah for the first time in my life.